We built our 28-liter Sweet Pack Vest for anglers willing to go the extra mile (or 10) in search of the sweet spot. This daypack/fishing vest combo is engineered to comfortably organize and carry everything you need on the trail and on the water. Made from light, tough and water-repellent polyurethane-coated 5.5-oz CORDURA® 86% nylon/14% polyester ripstop with a DWR (durable water repellent) finish, the newest version of our Sweet Pack Vest features a simpler, more streamlined design. 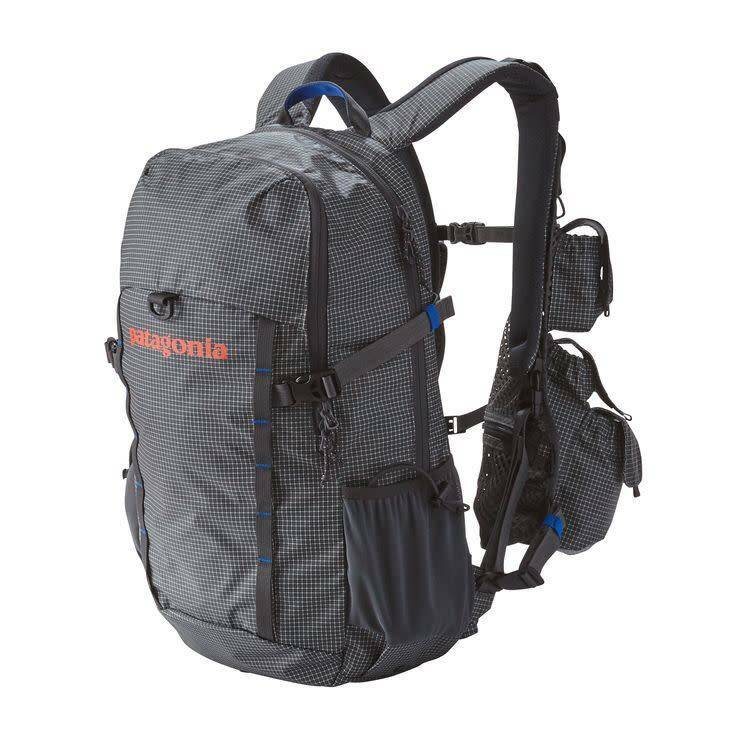 Details include padded shoulder straps, a large main compartment, a deep sleeve back pocket with waterproof security pocket inside, side sleeves with cinch straps for net or rod tubes and dual-side water-bottle pockets. Up front, the vest maximizes comfort and convenience with lightweight, breathable mesh construction, easy-access vertical pockets and multiple Hypalon® attachment points. When fishing fast and light—or closer to the car—the 100% polyester vest easily detaches from the pack to be worn alone.